Sometimes at Adoration I see people reading magazines or reading other non-Catholic books or studying or doing homework. Is this OK? Well, an adoration chapel, or some other place where the Eucharist is exposed, is not a place to just "chill." It is first and foremost a place to adore our Lord and Savior. However, adoration need not always constitute actively praying the whole time. Our mere presence there is an act of adoration of Him. We would not be there if we did not believe that He was truly present. Besides making ourselves present, we also adore Him by being still and quiet, and listening to the Lord. This shows the Lord that we not only believe Him to be present, but that we also have faith that He can communicate great things to us through His Presence, and we are open to whatever He wills to impress upon us through this experience--even if that be nothing at all. Furthermore, some suggest reading the Bible before the Eucharist, since His Presence can have the effect of calming our spirit and opening our hearts and minds to what He has to tell us through His Word. 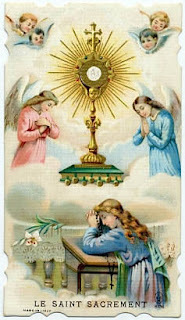 However, doing trivial things before the Blessed Sacrament is not appropriate. Do we really need him to help us understand the latest issue of Sports Illustrated? Are we showing an openness to listen and learn if we are reading a magazine? I don't think so. Doing homework could be appropriate, but not always. I think that if someone is really struggling with an assignment and they are bringing it before the Lord with the express purpose of entreating His aid and if we set about glorifying him with the work we do before Him, that it can be acceptable. Even still, I think that this should be a last resort, since this is a more implicit type of worship and people may wonder exactly why you are there. Some people do homework in adoration chapels because it just happens to be the quietest place on campus..........and that is definitely not the right reason to be there. You would also want to avoid doing anything in an adoration chapel that would detract attention from the Eucharist. So, a study group or any other type of work that makes too much noise would not be acceptable. What Do You Do When Your Friend Is a Bad Influence? Ok lets say that someone in your life (lets say a freind) is a danger to your purity- and I'm not saying this person is a silly sally or something but things they do and say that they don't know the efffect it has- is ok to ignore that person at least temporarily so as to protect your purity. And if you promised to go hang out with that person but now realised it might not be such a hot idea is it ok to go against. and explaining the situation to that person would be really weird and awkward and strange and basically a big no-no. You are going to have to explain it to him though. Before you decide to disassociate yourself from this person, give him the chance to respect your sensibilities. It is the fairest thing to do. He may not even know that there is a problem, and he may in fact be willing to change (at least when he's around you). So, if he curses or says crude jokes, let him know that this bothers you and that you would rather him not do that around you. If he is able to respect that, then you two can still do things together and you can actually be a good example to him by the way you live your life. Now, some people are able to remain friends with a person like that, even if the person continues to sin in that way, because they do not easily fall into another man's sin and because the scandal of the sin does not outweigh the good in the other person (we're all sinners, afterall). However, other people find themselves falling into the very sin their friend commits because, by being around that friend, they become desensitized by the sin and more likely to commit it. If you are likely to fall in this way, or if the sin is such that it is just too scandalizing for you, then you will need to find new friends that do not have such a negative influence. The tough thing about conversion is that it means changing your whole life and orienting it towards the Lord. Since we are not solitary beings, this often impacts other people as well. Ahhh, the smell of cotton candy and carmel apples, of hickory smoke and funnel cakes. That can only mean one thing: You are at the Catholic Carnival. Perhaps somewhere in between the ferris wheel and the $2 ring toss you can find some time to do some people-watching. There are a lot of people at the Carnival tonight, and they are having some very interesting conversations. Brian and Mike from THEOdyssey were listening to NPR on the way to the Carnival, so they're in the middle of a discussion on the recent NPR series on the rebirth of the right wing in several European countries, and what could account for the influx of Muslim immigrants in Western Europe and the conflict that has been going on in response to the newcomers. Brandon Peele's head is in a book, particularly Ralph Waldo Emerson essay Nature. Over at GT he gives a review of the essay and its contribution to transcendentalism. He is also mulling over "the three lenses of identity" and how "having" and "doing" relate to "being." He certainly has no time for all this Carnival silliness! In front of the magazine rack, "cehwiedel" is sharing his thoughts on Time Magazine's recent cover story on the pope and his trip to Turkey (Make sure you get your daily dose of Vitamin B16 today!). Before Time Magazine apologizes for their article, they may want to read Steve Janke's recent post. He explains the difference between being apologetic and being contrite over at Angry in the Great White North. Beside the magazine rack someone is selling religious education materials. Too bad it's so difficult to figure out which materials are good for your school and/or parish and wish one's aren't. Ian hopes to remedy that. Over at Musings from a Catholic Bookstore he is requesting volunteers to review the religious education materials found on the USCCB's Catechetical List. As with any Carnival, there are a few ladies walking around immodestly dressed. Sarah R. has a word for them at her blog just another day of Catholic pondering. There she provides some thoughts on the idea of modesty as a guardian of chastity, and the sacredness of the female body. Eddie Lee is at the Carnival. He hasn't been around in 30 days, but he's back posting at To Jesus Through Mary again, this time with an update on his discernment process. Perhaps Eddie, and anyone else discerning the priesthood, would benefit from a recent post at A Catholic Life. There, "Moneybags" answers the questions "What does it mean to be called to become a priest?" and "What is truly 'the call'?" in a post on the priestly vocation. While you're at the Carnival, make sure you use your time wisely. Sr Edith Bogue's post Spiderman & What's Really Important over at Monastic Musings is a helpful reminder for us all to properly adjust our sense of time and our sense of values so that we don't miss the spark of the divine image in each person. She also alerts us to the new webpage of the Pontifical Council for Justice and Peace. Nothing quite like a peaceful Carnival! Speaking of peace, "Peace" brought her little sister Gracie to the Carnival. She has a great story about how Gracie came into her life over at Peace! Be Still. Since this Carnival is a Catholic one, you can expect to find plenty of Marian statues and artwork for sale. Before you buy, read FloridaWife's story of Our Lady of Guadalupe over at A Catholic wife in Florida trying to conceive. She also shares the trailer for a new movie on Our Lady of Guadalupe that is soon to be released. A Carnival is a great place to spread your views on theology and politics. Just set up a booth and hope that you can sell your message. Of course, there will always be a few misguided individuals in the mix. Vynette Holliday has a booth. She calls it The Race is Run: theocracy, theology, religion.... With this post she would have us believe that "In the Preface to the first volume of his book 'Jesus of Nazareth', Joseph Ratzinger, aka Pope Benedict XVI, captures in a few carefully-chosen words just why the Christian churches have been steeped in idolatry since the time of the Graeco-Roman church fathers." Of course, it's no surprise that the wise pope has been taken out of context. See the rest of the Preface to his book here. With teachings like that floating around, it's good to have a religion you can count on. At MattHutter.com, Matt talks about why religion matters and how his Catholic faith helped him in a time of crisis. At luminousmiseries, owen swain talks about how he is slowly coming to know the love of Jesus through customers in his store and the eyes of Mary, and how important it is to let God love you. At Deo Omnis Gloria, Jay further affirms the sturdiness of the Faith by explaining the difference between infallibility and inspiration. While Matt found the Book of Job to be particularly enlightening, Kevin E. Miller found great meaning and importance in the Sunday readings for the Feast of Christ the King. Over at the Heart, Mind, and Strength Weblog he shares some valuable insights on the readings and on the kingdom of Christ. As for Monday's readings, Penitens helps us to see what the first reading (Rev 14:1-3,4b-5) teaches us about faith, on his blog A Penitent Blogger. While driving home from the Carnival tonight, please keep Tinabell's mother in your prayers. At her weblog, she pays tribute to her mother and remembers the events that lead up to her death. May the souls of the faithfully departed, through the mercy of God, rest in peace. God can use the things of this world and the advances that man has made in science and medicine to heal us. It does not imply a lack of faith to take medicine anymore than it does to go to a doctor or a dentist. However, insure that the Lord is always involved. Pray to him daily for healing. Acknowledge the "Great Physician" working through the human physician. We must never give the Lord the impression that we can do just fine without Him. ps: Anti-depressants are the most effective in conjunction with counseling, so I recommend finding a therapist as well. This is simply one of the best works on how to "do" catechesis that I have ever read. It's amazing how relevant his advice to catechists is still today. The first 3/4 of the book is all about technique: how to catechize someone and what to do in certain situations. The last part of the book is an example of how he would tell "the story", or the history of God's dealings with man. I encourage you all to read it. Minus the introduction by the translator and the endnotes, it's only 74 pgs. Let St. Augustine teach you how to teach others! In the very least, you can read my outline and get some idea of how he does it. Finally, look out for a collection of Catholic articles on Thanksgiving, probably tomorrow. --William Shakespeare, Richard II, II.1.5-6. Often times, a man’s last words are his most important ones. With very little time left, he can only concern himself with what must be said and with what he has always wanted to say. After all, this is it, this is his last chance to make his mark, to leave an everlasting impression, to pass on the most crucial aspects of this thought. There is no time to speak trivially. If these are indeed his last words, then we should pay particular attention to them. All of the words of Paul are important, but his letters to Timothy, being perhaps the last words he ever wrote, are especially notable. In them he addresses many themes, such as the way worship should be regulated, the duties of those who hold Church office, and how to deal with false teachers. As catechists, whose main responsibility is to teach towards conversion, we should pay particular attention to Paul’s words regarding the proper care for the truths that have been handed down to us. This is seen particularly in two passages from Paul’s letters to Timothy: 1 Tim 6:20 and 2 Tim 4:1-4. It is essential then to look at these passages and see how they relate to our catechetical activity. Chapter 6, verse 20 closes Paul’s first letter to Timothy. Thus, if Paul could leave Timothy with a final thought it would be this: “guard what has been entrusted to you.” Particularly, he should guard it against “the godless chatter and contradictions of what is falsely called knowledge.” A few questions are readily apparent: What is it exactly that Timothy must guard? What is “godless chatter”? Answering these questions will help us to better apply this verse to our work as catechists. According to Roman law, a “deposit” was something one entrusted to someone who was then under an obligation to protect it so as to be able to return it to the depositor when the latter so required; usually a deposit consisted of money or some other form of property. St Paul applies the term to Revelation and the faith (cf. 2 Tim 1:12-14) and it has passed into the language of theology. Thus, the deposit to which Timothy has been entrusted and which he must guard is Revelation and the faith. When Paul speaks of “that Day” (vs. 12), he is always referring to the Second Coming of Christ. It is obvious that it is Jesus in whom he has believed. Jesus will guard until “that Day” what has been entrusted to Paul. After all, He told the apostles before His death, “Lo, I am with you always, to the close of the age.” Likewise, when Paul refers to “the Holy Spirit who dwells within us” (vs. 14), this is the same Spirit who Jesus sent to “be with you forever” and who they know because “he dwells with you and will be in you.” It is with this Spirit that Jesus will guard the deposit (vs. 14). But, how did Paul receive this deposit? He wrote to the Galatians, “I did not receive it from man, nor was I taught it, but it came through a revelation of Jesus Christ.” Likewise, to the Ephesians, “the mystery was made known to me by revelation, as I have written briefly” and to the Corinthians, “I received from the Lord what I also delivered to you.” Paul probably received this revelation when he was struck blind by Christ on the way to Damascus. The first question of a general kind that presents itself here concerns the danger and the temptation to mix catechetical teaching unduly with overt or masked ideological views, especially political and social ones, or with personal political options. When such views get the better of the - central message to be transmitted, to the point of obscuring it and putting it in second place or even using it to further their own ends, catechesis then becomes radically distorted. The synod rightly insisted on the need for catechesis to remain above one-sided divergent trends - to avoid "dichotomies" - even in the field of theological interpretation of such questions. It is on the basis of revelation that catechesis will try to set its course, revelation as transmitted by the universal magisterium of the Church, in its solemn or ordinary form. 1. The last chapter of the letter, summing up its main themes, is in fact St Paul's last will and testament and has the features of that type of document: it begins in a formal manner (vv. 1-5), protests the sincerity of his dedicated life (vv. 6-8) and concludes with some very tender, personal messages (vv. 9-22). The opening is couched in a solemn form (also found in 1 Tim 5:21) similar to a Greco-Roman will, laying on the heirs an obligation to carry out the testator's wishes: "I charge you"; a series of imperatives follows. To underline the importance of what the testator is requesting, God the Father and Jesus Christ are invoked as witnesses, guarantors of the commitments which will devolve on the heirs. By swearing this document the testator is performing an act of the virtue of religion, because he is acknowledging God as Supreme Judge, to whom we must render an account of our actions. From this charge, we can learn many things. For one, preaching the word will not always be a popular endeavor. It is for this reason that Paul tells Timothy to “be urgent in season and out of season.” The catechist is not to be swayed by the zeitgeist, or the spirit of the times. In some circumstances he will be well received, in others he will not be. He must preach the word regardless. Secondly, Timothy must “convince, rebuke, and exhort.” Underlying this charge is the assumption that the word of God can actually do such a thing. The word, which the Second Vatican Council tells us is comprised of both Sacred Scripture and Sacred Tradition, has the power to convince a man. Paul says elsewhere in this letter that through apt teaching, “God may perhaps grant that they will repent and come to know the truth, and they may escape from the snare of the devil, after being captured by him to do his will.” Only a man convinced of Christ turns away from the devil. There is much that the catechist should derive from this. He should know now that the word entrusted to him, the word that he must guard and faithfully pass on to others, is a mighty weapon. With it he can do great things: convince, rebuke, exhort. But, he must wield this “sword” with patience and gentleness. There will be times when his audience will not want to hear what he has to say. 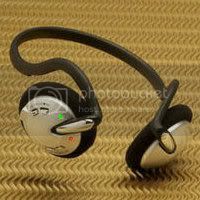 They may even abandon him for something that is more pleasant to their ears. But, the catechist must persevere. He must always preach the word with faithfulness and diligence, no matter the circumstances. “For I am already on the point of being sacrificed; the time of my departure has come” (2 Tim 4:6, RSV). Jose Maria Casciaro, Director, The Navarre Bible: St. Paul’s Letters to the Thessalonians and Pastoral Epistles (Dublin, Ireland: Four Courts Press, 1992), 131. All Scripture citations from the Revised Standard Version. Jose Maria Casciaro, Director, The Navarre Bible: St. Paul’s Letters to the Thessalonians and Pastoral Epistles (Dublin, Ireland: Four Courts Press, 1992), 129.
 cf. Rom 2:5,16; 1 Cor 1:8; 3:13; 5:5; 2 Cor 1:14; Phil 1:6,10; 2:16; 1 Thes 5:2,4; 2 Thes 2:2,3; 2 Tim 4:8.
 cf. Jn 14:26; 16:13; 1 Thes 1:5. John Paul II, Apostolic Exhortation, Catechesi Tradendae (October 16, 1979). Jose Maria Casciaro, Director, The Navarre Bible: St. Paul’s Letters to the Thessalonians and Pastoral Epistles (Dublin, Ireland: Four Courts Press, 1992), 152. Is Theatre Appropriate for a Christian Female? I'm a theatre astress and I've been one for four years, and I love it, but the men there are horrible my mother is with me most of the time, but the times when she's not, i have men who are 7 to 15 years older then me hitting on me, i'm a 15 year old girl and i've never taken interest in guys. I was pretty much raised with my brothers, so i'm a sporty type of girl, but the last show i did i had this 23 year guy totally popping my "personal bubble" and i had to have two GUYS i hardly know get him off of me, (they did but i paid them with and pint of vodka, they would have done it anyway, i can trust THEM up to a point) i'm not afriad to hit some one and i even smacked this guy really hard after he said something that i thought was horrible. And he thought it was funny, his joke and that i smacked him, i'm a catholic and i want a husband who will love me for who i am, not for what he can get out of me! Theatre is a notoriously hostile environment for a Christian, so it is essential that you protect yourself. First, make sure you dress modestly. If you accentuate your sexual nature then it follows that you will get attention from men (and even women) who are only interested in this aspect of you. Rest assured that you would be following in the footsteps of many saints who have preserved their purity in this way. Also, it is generally safer to stick with your peers. When someone much older than you starts showing interest or becomes overly complimentary, that is cause to at least question their motives. Also, whenever anyone, your age or otherwise, is disrespectful towards you or attempts to treat you like an object, you need to be up-front and unabiguous about how unappreciative you are of this behavior. Let there be no question about whether or not you condone what this person is doing. That said, I personally don't advise females to be the aggressor when it comes to physical retaliation. Now, if you are being attacked, or if someone is getting too close to you, it is certainly ok to push them away after you have told them to back up (because the other person has initiated the advance). But if a guy just says something and you slap him, he is likely to respond with a physical act of his own. Men are much more physical and so they can see this as an opening to return the favor (especially those men who are controlling or who like to demean women). So, you really have to be careful about touching guys like this in any way, and to make sure that you do so only when necessary. This also means not giving him a playful punch or slap on the arm whenever you are joking around (guys like this just read too much into the touch of a woman). 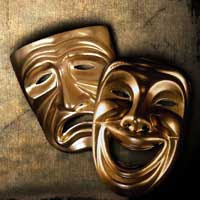 If you can, you may need to be more selective about the plays or shows that you participate in. Plays that are sexual in nature usually attract the right people for the job, if u know what I mean. On the other hand, shows that have a really good message, and that are family-oriented are at least more likely to cast virtuous actors and actresses. It is good that you keep your parents around when you are performing and practicing, and that you keep them up to speed on what is going on. I think u should definitely continue doing that. Beyond that, if there is a director or a supervisor of some kind, he may be able to help as well. Legal action can also be taken against these people, if it comes to that. Ultimately, if you have tried all of this and there is still no relief, you will have to reconsider participating in theatre. Our bodies are temples of the Lord, and our souls are precious. It is our duty to protect them. Sometimes this means giving up things to which we have grown attached. You know a creep from a good guy by how he respects the dignity and "genius" of women. Where does the Nicene idea of the Son proceeding from the Father and the Spirit proceeding from the Father and the Son come from? Specifically, the idea of the word 'proceed'. I had a fundamentalist friend deny that there is any type of procession because it is not in the Bible. PROCESSION. The origin of one from another. A procession is said to be external when the terminus of the procession goes outside the principle or source from which it proceeds. Thus creatures proceed by external procession from the triune God, their Primary Origin. An internal procession is immanent; the one proceeding remains united with the one from whom he or she proceeds. Thus the processions of the Son and the Holy Spirit are an immanent act of the Holy Trinity. An internal, divine procession signifies the origin of a divine person from another divine person (Son from the Father), or from other divine persons (the Holy Spirit from Father and Son) through the communication of numerically one and the same divine essence. Procession, Divine: The inter-Trinitarian origins of the Son and the Holy Spirit. "Generation" is the eternal procession of the Son from the Father, while "spiration" is the eternal procession of the Holy Spirit from the Father and the Son. The Divine Persons are distinct from one another in the One God; the processions ("relations") distinguish each Person. The Father's distinguishing attribute is paternity; the Son's, filiation; the Holy Spirit's, procession ("spiration"). Thus, God must exist as three Persons in one God, and "procession" has been used as the most apt word to describe how this works. All of this is biblical. The divinity of three, and the distinct personality of each one is well attested. The scripture citations are probably too numerous to address here. The idea of "procession" is likewise seen in Scripture, in the Father "begetting" the Son, and in the Spirit being "sent" in some verses by the Father and in others by the Son. See section B. 2. "Divinity of Jesus" from The Character of Jesus Christ for a critique of Jesus' Sonship as one of "adoption"
See Holy Ghost for the divinity and personality of the Third Person. For His procession, see section IV "Procession of the Holy Ghost" and section V "Filioque". See Filioque for more on the "double procession" of the Holy Ghost. I hope that helps. You have before you a grand undertaking! Good luck to you. i went to confession and the priest told me that the sin of masturbation was not a mortal sin because of my age, i'm a teenager. he told me that since i'm of a younger age it has become an addiction or habitual sin which lessons the mortal sin and that i'm doing the right thing by continually going to confession. he told me that i should not refrain from communion even after committing this sin. is this priest correct? Note that masturbation is always gravely sinful, but the one who commits this sin is not always entirely culpable. In other words, the mitigating circumstances listed earlier can lessen the amount of guilt that would normally be attributed to someone for committing this grave sin. Also, note that these factors can lessen one's culpability, but not necessarily. It is possible to mortally sin, even in the heat of passion. Personally, I advise people to go to confession if they have committed a grave sin (whether the sin is actually mortal or not) because it is not always easy to determine if a grave sin was committed with the full knowledge and consent of the will that is required to make that sin a mortal sin. Put simply, it is better to be safe than sorry. Plus, it is always good to go to confession, even when you have committed no grave or mortal sins. Even venial sins wound our relationship with the Lord and make us more inclined to commit more grievous sins. They also lessen the fruitfullness of the Eucharist. On the subject of masturbation modern psychology provides much valid and useful information for formulating a more equitable judgment on moral responsibility and for orienting pastoral action. Psychology helps one to see how the immaturity of adolescence (which can sometimes persist after that age), psychological imbalance or habit can influence behavior, diminishing the deliberate character of the act and bringing about a situation whereby subjectively there may not always be serious fault. But in general, the absence of serious responsibility must not be presumed; this would be to misunderstand people's moral capacity. It is true that in sins of the sexual order, in view of their kind and their causes, it more easily happens that free consent is not fully given; this is a fact which calls for caution in all judgment as to the subject's responsibility. In this matter it is particularly opportune to recall the following words of Scripture: "Man looks at appearances but God looks at the heart." However, although prudence is recommended in judging the subjective seriousness of a particular sinful act, it in no way follows that one can hold the view that in the sexual field mortal sins are not committed. With all this, I think it can be dangerous to tell a teenager that he should still receive the Eucharist after masturbating "because you're just a teenager with raging hormones." I think, at least implicitly, this tells the teenager that masturbation is not in fact something that he can overcome despite his hormones. That does not seem like a wise message to send to teenagers. Plus, when people become aware of this exception, they tend to sin just as much, if not more, because of the knowledge that "oh, it's not a mortal sin, so I'll be fine." It seems wiser, pastorally, to inform the penitent of the mitigating factors involved (so that he does not have undue scruples about his relationship with the Lord), but also to suggest frequent (weekly) confession, at least as long as he is committing this sin, so that he can receive the graces necessary to overcome it, and so that he can approach the Lord's Table with the utmost assurance that he is in right relationship with the Lord. You'll notice that I have responded to every one of the arguments he has raised. Unfortunately, I could not be as thorough as I would have liked because I still had to write it in tract format, and you can only put so much in an 8.5x11 two-fold brochure. But, it's a start, and it will show him that he has hardly stumped us. [in response to the end of paragraph 4] Does McCarthy base his view on the conclusion(s) of Brown's work or on the presuppositions of the work, which are or may be the same as Dibelius? Are all of Dibelius's conclusions wrong? [in response to the end of paragraph 6] Since these are questions of a historical nature, are they inherently wrong? If not, what puts these questions into proper perspective? [in response to paragraphs 7 and 8] Yes, but yet again, these are conclusions. What are Brown's presuppositions? You raise only the problem of doubt. But there is a difference between theological doubt and reasonable doubt. [in response to the end of paragraph 8] Why not begin with wedge driven between faith and reason? Basically, he marked all over it, but, for some reason, he still gave me an "A." He even wrote "Nice analysis!" at the top. Maybe I'll ask him what from my paper merited such a grade. Anyway, just know that, as the writer of this paper, I am aware of the possible criticisms that could be lofted against it and that I hardly present this as the final say on Brown's hermeneutics. Another presupposition of Brown is that the Bible has a meaning both to the immediate audience of the inspired author, and of Christians today. Because of the human element, one needs scientific, literary, and historical methods to determine what the ancient authors meant when they wrote—that knowledge does not come from revelation. But the meaning of the Bible as the Church's collection of sacred and normative books goes beyond what the authors meant in a particular book. Not only scholarship but also church tradition and teaching enters into the complex issue of what the Bible means to Christians11 (emphasis original). The hermeneutic that Brown is most accused of harboring is one of suspicion, in which the interpreter approaches Scripture with the preconceived notion that very little of what it relates is historically accurate, what the Church has traditionally believed about Scripture is largely naïve and simplistic, and whatever appears as miraculous in Scripture should be dismissed as mere fable used to express some theological truth or religious imagination. Questions of doubt are constantly raised: Is this miracle really in fact miraculous? Did Jesus really institute all seven sacraments? Was Mary really a perpetual virgin? Is this the real Jesus, or the Jesus of the faith-filled community? 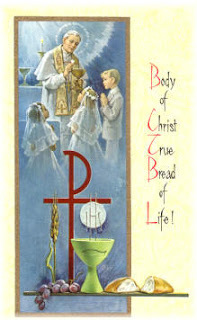 In The Critical Meaning of the Bible, he summarizes a position first presented in his earlier work Priest and Bishop that "an ordained priesthood, a priesthood of altar and sacrifice...is never presented as a Christian institution in the NT" and "no member of the Church is called a priest in relation to the Eucharist. "18 Regarding the Infancy Narratives, he is particularly "critical": he seems to think that the only truly historical aspect of these narratives is the genealogies and that everything else was constructed by the author to reflect his own Christology.19 Of course, my purpose here is not to address the validity of these conclusions, but only to show that they arise out of a particular presupposition. To be fair, the assessment of Fr. Raymond E. Brown's methodological presuppositions and his impact on modern Biblical scholarship has certainly not been entirely negative. Roger Cardinal Mahoney hailed him as "the most distinguished and renowned Catholic biblical scholar to emerge in this country ever" and his death, the cardinal said, was "a great loss to the Church. "26 Mahoney and Bishop Donald W. Trautman of Erie, PA. are described as "effusive in their praise" of Brown.27 He received 24 honorary degrees from various institutions of higher learning, and his Jerome Biblical Commentary is still considered one of the greatest works of American Biblical scholarship ever written. However, the limitations of his approach, and of the historical-critical method in general, cannot be ignored. Cardinal Ratzinger was aware of these limitations, as was the PBC document (cf. I.A.4). At the core of these limitations are some very real presuppositions about knowledge, truth, history, God, and the world. Admittedly, my presentation here only scratches the surface of what could be said regarding the specific presuppositions of Fr. Raymond Brown. The criticism he has received, even after his death, has been quite voluminous, and how he will be viewed by subsequent generations, especially as he compares to Dibelius and Bultmann, remains to be seen. It is perhaps the greatest irony that the one man who studied Scripture with the most critical eye would himself fall under such a fine, and often unrelenting microscope. Henry V. King, "Traditional Catholic Scholars Long Opposed Raymond Brown’s Theories" in The Wanderer (The Wanderer Printing Company: September 10, 1998), 1 and 11. Fr. William G. Most, Free From All Error: Authorship, Inerrancy, Historicity of Scripture, Church Teaching, and Modern Scripture Scholars, Ch. 9. Mrgr. George A. Kelly, "A Wayward Turn in Biblical Theory," Address at the Conference on the Bible and the Church (November 12, 1999). Raymond E. Brown, "The Contribution of Historical Biblical Criticism to Ecumenical Church Discussion," in Biblical Interpretation in Crisis: The Ratzinger Conference on Bible and Church, Gen. Ed. Richard John Neuhaus (Grand Rapids, MI: William B. Eerdmans Publishing Company, 1989), 24-49. In the document The Interpretation of the Bible in the Church (Boston: Pauline Books & Media, 1993), the Pontifical Biblical Commission states not only that this has been done in modern use of the method, but that the historical-critical method, "when used in an objective manner, implies of itself no a priori" (p. 40). He adds in the Addendum: "In other words, most of my training as a historical critic was just the opposite of what the Cardinal has described as the philosophy of historical criticism that in his judgment fundamentally flaws the method. All of this causes me to suggest that more frequently we should speak of the philosophy of the practitioners of the method rather than of the philosophy of the method itself" (Brown, "Historical Biblical Criticism and Ecumenical Discussion," 45-46). Msgr. John F. McCarthy, "Regarding the Background of Matthew 2: In answer to the form-critical analysis of Raymond Brown," in Living Tradition (No. 86, March 2000). Raymond E. Brown, The Critical Meaning of the Bible: How a modern reading of the Bible challenges Christians, the Church, and the churches (New York: Paulist Press, 1981), x. See Prior’s list of the limits of the historical-critical method in Peter S. Williamson, Catholic Principles for Interpreting Scripture: A study of the Pontifical Biblical Commission’s The Interpretation of the Bible in the Church (Rome: Editrice Pontificio Istituto Biblico, 2001), 225-226, footnote #9. "This is not an imperialistic claim that the meaning detectable by historical biblical criticism exhausts the meaning of the sacred text. Jewish and Christian readers of subsequent centuries have read their sacred Scriptures in different contexts from that of the original author and audience and have found meanings appropriate to those new contexts. Well and good;...." (Brown, "Historical Biblical Criticism and Ecumenical Discussion," 27). The PBC document acknowledges this as a potential hazard of the historical critical method: "Concerned above all to establish the meaning of texts by situating them in their original historical context, this method has at times shown itself insufficiently attentive to the dynamic aspect of meaning and to the possibility that meaning can continue to develop" (PBC, The Interpretation of the Bible in the Church, 134). Brown, "Historical Biblical Criticism and Ecumenical Discussion," 25. Raymond E. Brown, The Birth of the Messiah (New York: Doubleday, 1977), 27. Brown, "Historical Biblical Criticism and Ecumenical Discussion," 33. Brown, The Critical Meaning of the Bible, 102. For such an assessment of Brown’s treatment of the Infancy Narratives, see Msgr. John F. McCarthy, "Regarding the Background of Matthew 2" and M. Robert Mulholland, Jr., "The Infancy Narratives in Matthew and Luke—Of History, Theology, and Literature." Joseph Cardinal Ratzinger, "Biblical Interpretation in Crisis: On the Question of the Foundations and Approaches of Exegesis Today," in Biblical Interpretation in Crisis: The Ratzinger Conference on Bible and Church, Gen. Ed. Richard John Neuhaus (Grand Rapids, MI: William B. Eerdmans Publishing Company, 1989), 8-9. "I know that in a few influential positions on the American academic scene the last Bultmannian students are teaching; but for most of the distinguished professors of exegesis in the United States, Bultmann and Dibelius are only components in a much wider scene....Also, on the level of the American Catholic teachers of religion, the situation is different from that in Germany" (Brown, "Historical Biblical Criticism and Ecumenical Discussion," 41). Brown, commenting on the press conference attended by Ratzinger, is quick to point out that "He encouraged the practitioners of moderate exegesis among whom he generously included me" ("Historical Biblical Criticism and Ecumenical Discussion," 38). Later, he says, "I suspect that little or none of the Cardinal’s criticisms and apprehensions about the over-influence of Enlightenment rationalism could apply to the articles in [the Jerome Biblical Commentary]. However, many a critic of Brown is equally quick to disagree. Quoted in Henry V. King, "Traditional Catholic Scholars Long Opposed Raymond Brown’s Theories" in The Wanderer (The Wanderer Printing Company: September 10, 1998), 1 and 11. Here's a special treat for you! (I say that with the utmost sarcasm). First, some background. I have been helping to teach the RCIA program on the campus of Franciscan University since our sessions began at the end of September. My main role has been to provide the apologetics piece for each session. Every now and then, someone else on the core team will answer a question as well. What's cool is that one of our core team members has been recording these sessions on his iPod and hosting them on his website. SOOOooooo, that means that, along with reading my apologetical work, you can now hear me too! I started to give an excuse for why this audio probably isn't the best live apologetics you'll ever hear, but, ya know, it is what it is. I will say that, in my presentation of Purgatory, i said "punishment" at the 5:31 mark when I meant to say "sin." In an earlier post I mentioned how my blog feed is featured on the front page of Phatmass. Now we can add another website to the list! Adam Janke, the webmaster of Catechetics Online, recently added my blog feed to his frontpage as well. This website is doing big things. In my opinion, there is already no match for it when it comes to truly Catholic catechetical materials online. I dare you to find me a website that even touches Catechetics Online. 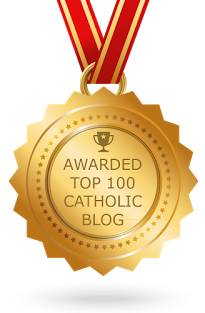 I am honored to be featured on this website and I look forward to doing my part to make Catechetics Online even better. So, if the colors on my blog make it difficult to read, go to that link and you should be fine. Let me know if this solution works.